You can now find here the top 10 Architect Licensure Examination passers results on June 2013 given by the Board of Architecture headed by it’s Chairman, Arch. Rolando L. Cordero. Please see the list below. 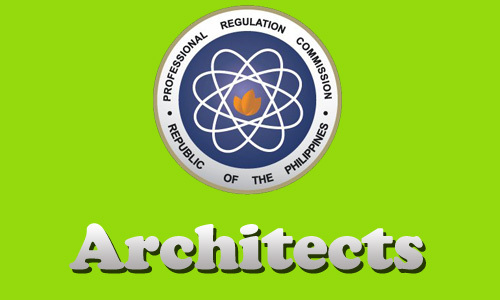 June 2013 Architect Licensure Examination is also known as June 2013 Architect Board Exam. Comments or suggestions about "June 2013 Top TEN Architect Licensure Examination Passers " is important to us, you may share it by using the comment box below.